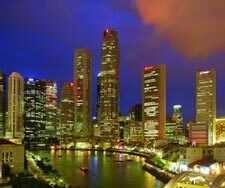 The study, conducted by ECA International, named Singapore as the ideal Asian destination for global expatriates. Hong Kong also did well in the chart moving up three places and overtaking Tokyo and Yokohama in the process. However, the Japanese cities did take a knock on quality of life due to last year’s devastating natural disasters. The study evaluated expat living conditions in 49 different Asian cities in a bid to find the destination with the highest level of “livability”, Hong Kong currently ranks third in livability, behind only Singapore and Kobe, Japan. Despite Hong Kong being praised for excellent education, nightlife and transport, it seems that Hong Kong has faltered due to shocking levels of air pollution. Despite branding itself as “Asia’s World City”, HOng Kong has some of the worst levels of air pollution anywhere in the world, with a smog filled skyline ever present. In fact, these levels of pollution have been dubbed Hong Kong’s “big Achilles heel,” by Lee Quane of ECA International. Singapore now regularly outranks neighbouring outranked Hong Kong, with Mr. Quane adding “the main reason is basically air quality”.